Twelve Bridges is a master-planned community located off Hwy 65 in Lincoln, centered around the elegant Catta Verdera Country Club and golf course. 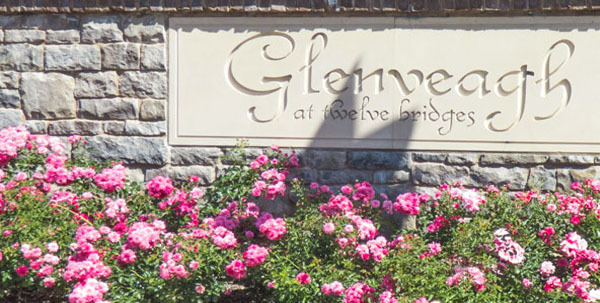 It is expanding with new construction developments as well as some established neighborhoods such as Bridgestone, Catta Verdera at Twelve Bridges, and Glenveagh, developed in 2005. The most upscale of these is the community of Verdera, which is home to Catta Verdera Country Club and the other luxury neighborhoods around it. These exclusive estate homes range from $800,000 to multi-million dollar mansions on lots around an acre in size, with panoramic views of the golf course and green areas. Within Verdera are also newly developed subdivisions including Monte Azul at Verdera, with more luxury estate homes, and Cabrilla at Verdera which has a bit more affordable houses being built by Standard Pacific. Elliott Home Builders are developing in two sections of Twelve Bridges - Chelsea and Innovations - that are nearly sold out. There are a few quick move-in homes left, and just a few under construction in Chelsea. Recent new construction is listed also in Carson Homes Twelve Bridges. 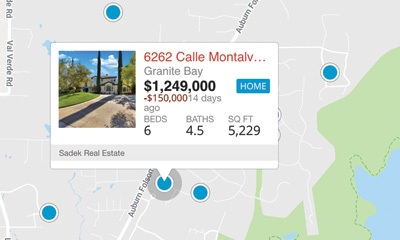 Many of the homes in Twelve Bridges will have no HOA fees, and the attraction here is that building is limited to keep 50% open natural space. Some have backyard private pools and entertainment areas to enjoy. Of course, the Catta Verdera Country Club offers first class golf, clubhouse, and spa, as well as dining and social events. If you want to feel like you're away from the hustle and bustle of the big city, and are looking for the best, tour the many different homes in Twelve Bridges, and all homes for sale in Lincoln. Call us for more information or to tour these exclusive new communities.